In the performances I have heard, Bob only sings the first and the last verse of this gem, with a lyric change in the first. Bob's versions resemble the one which was recorded by the Stanley Brothers. There have been ten nights in 1999 and 2000 when Bob Dylan chose to sing "ROCK OF AGES", letting his audience know quite frankly, that he still is the "Property of Jesus" and continues to be "hanging on to a solid rock". This solid rock remains his major place of refuge while he draws this fleeting breath, and it is the place he is "ready to go" to when his eyes shall close in death. Bob Dylan is certain that one day he will rise to worlds unknown and behold his risen Savior on his throne. RS: "What's the last song you'd like to hear before you die?" BD: "How 'bout 'ROCK OF AGES'?" 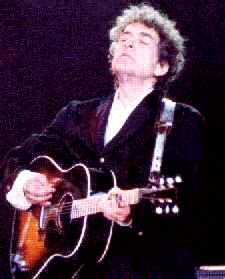 In October 2007 Bob Dylan presented the version of "ROCK OF AGES" which was recorded by the Stanley Brothers during his "Classic Rock" Theme Time Radio Hour. 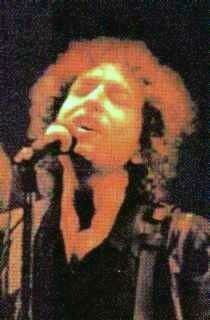 ... and here is a video of Bob Dylan performing "Rock of Ages"